Since its launch in 1998 and an impressive tally of around 19 Lakh (1.9 million) units made in India, Hyundai's most popular car to date the Hyundai Santro finally goes into a hiding. The company decided to bid farewell to this unusually odd-looking ‘Tall-Boy’. It captured the imagination of India’s middle-class in the 21st century. 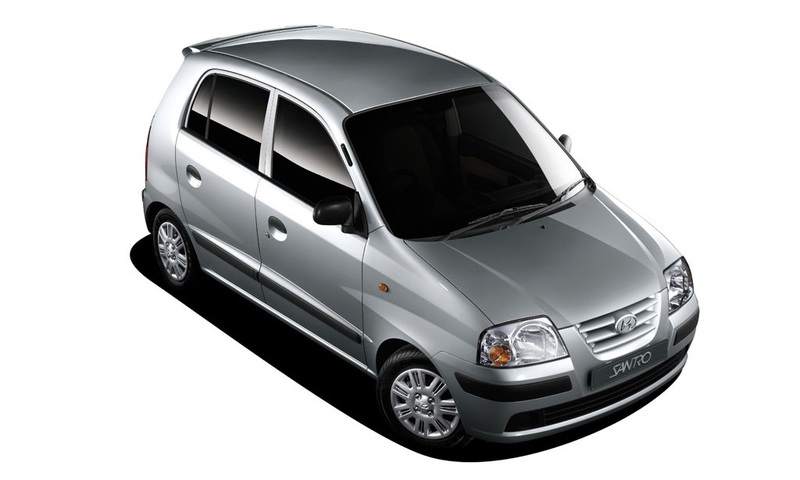 Hyundai Motor India Limited has decided to take this flagship car Hyundai Santro off the shelves after almost 16 years. It appears that the reason behind this decision was to free up the manufacturing facilities to make way for the next generation Hyundai cars ready to enter the Indian market. Hyundai Santro, nicknamed the ‘Sunshine Car’, drove past the horizon at the company’s manufacturing unit in Chennai. This will mark a historical moment for Hyundai Cars India and also for the Indian automotive industry which witnessed its expansion over the period. The Santro not only enabled Hyundai to set a foot on Indian shore but also helped it achieve the status of a household name in India. In 1998, due to the political instability, India’s economy remained quite uncertain with the BSE Sensex hovering around a mere 3000 mark. It was really not a very conducive environment for the industry in general. But, Hyundai saw an opportunity. The entry-level car-market offered very limited options. On one hand, there was an old HM’ Ambassador & Premier’s Padmini which featured outdated technologies. On the other hand, there were Tata Motors and Mahindra & Mahindra which produced only diesel-engined MPVs or people movers such as Sumo, Armada & Commander etc. So, Hyundai’s real competition was with Maruti-Suzuki which offered the only petrol-engined modern family car of the time - the Maruti-800. So, Hyundai thought bringing the right product would work. It was a brave decision as Hyundai brand was not established in India at that time. However, this strategy worked as Hyundai Santro provided the Indian customers with a practical & better car choice. 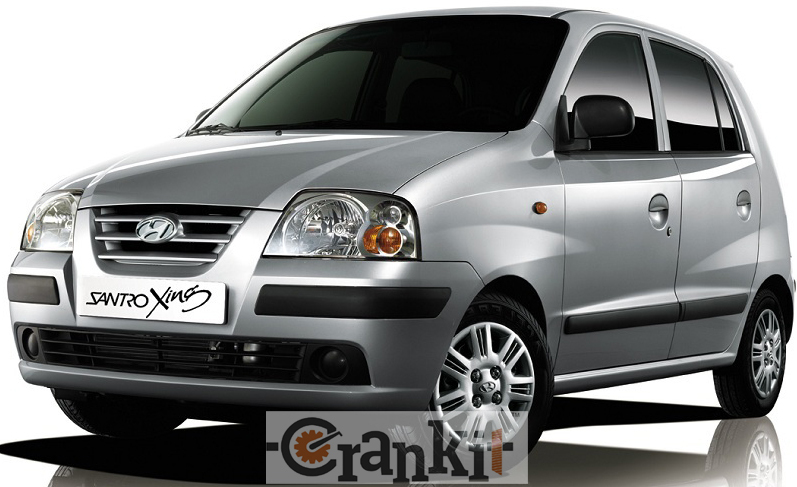 Hyundai Santro was launched in India in September 1998. At that time Maruti-Suzuki was an indisputable market-leader with market-share of almost 80%. Santro got confirmed bookings of approx. 10,000 in the initial booking phase. Of which, Hyundai managed to sell about 8447 Santros at the end of the year 1998. Just around the launch of Hyundai Santro, other competitors - Daewoo had also launched its Matiz (now Chevrolet Spark) followed by Fiat’s Uno (diesel) in the same year. With the launch of India’s most eagerly awaited car, the Tata Indica saw the sales of Hyundai Santro getting affected to some extent. Hyundai then decided to enhance the brand image. It roped in India’s leading youth icon of the time – Shah Rukh Khan as its Brand Ambassador. With Shah Rukh Khan, Hyundai started advertisement campaigns to garner higher sales. This strategy worked for Hyundai Santro. Enter the year 2000, there were already a few more players in the compact car segment firing up the competition with Hyundai Santro. So, Hyundai first updated the Santro with a power-steering, naming it the ‘Santro Zip-drive’. 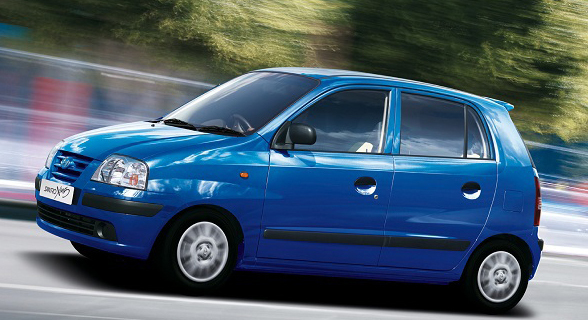 In the year 2002 Hyundai Santro also introduced an automatic variant – the first in the segment. Both these features resulted in the acceptance of Santro by female drivers and making it a preferred car by women. In the year 2003 when Santro completed its first full product life-cycle, Hyundai took correct decisions at the right time. The company implemented a product update introducing the Santro Xing with updated features and cosmetic changes. This saw the Santro brand reaching the new heights. It became the largest-selling single brand across all the segments for the month of November 2004. It continued its upward journey and reached the peak sale of 240,444 units in 2006. Of this, Hyundai sold 140,679 units in the domestic market and exported 99,765 units. In 2007, Hyundai introduced a CNG version of Santro Xing followed by an LPG version in the Indian market. This saw the Santro brand further reach the economy-conscious vehicle buyers which tried to push the sales further. However, after reaching the peak in 2006, the Santro started showing signs of decline and slid downwards. In 2010, its cumulative annual sales stood at 123, 220 – almost half of the 2006 figures. In 2014, the cumulative sales stood at just about 30,500. Hence, it seems, the company took a decision to discontinue the Santro. Hyundai Santro’s overall cumulative sales in India stands at about 19 lakh (1.9 million) units till date. HMIL managing director, BS Seo, told Forbes India, “Santro redefined the compact segment. The product built remarkable trust in the technology, design, and safety with its customers. It has been one of the strongest brands in our portfolio till now”. T Sarangarajan, vice president (production), HMIL said, “Almost every part in Santro is relatively outdated today and we have also embraced a fluidic design philosophy across all segments. Continuing Santro will fly against our own mantra of offering the best to Indian customers”. 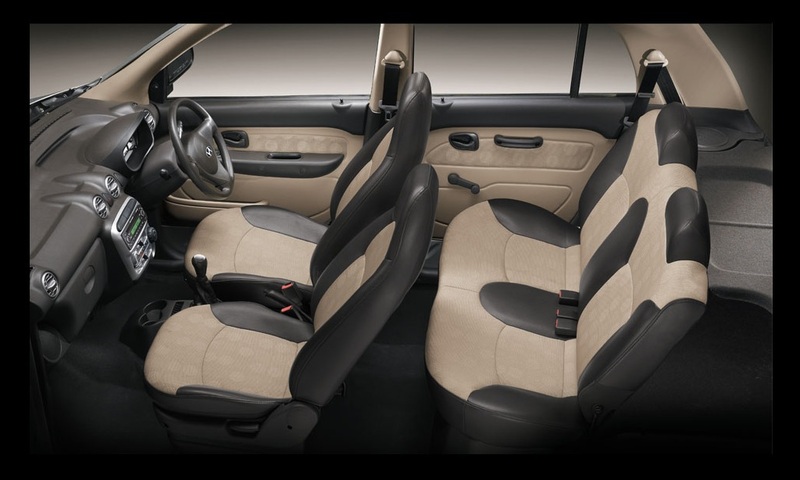 According to reports the Santro still manages to sell about 30,000 units a year and retains its fan-following. However, Hyundai claims that this decision was taken thoughtfully and as such it was not very painful for Hyundai India. Seo, MD – HMIL reportedly told Forbes India. “Now it is time to bid farewell to this iconic brand”. So, there could be last few Santros still available with the dealers. Here is a chance to grab one of them if you are a collector since Hyundai may not produce it anymore…!!! AeroMobil 3.0: A car that runs or flies or both? Netherland’s self repairing roads will really heal potholes? Take your Amphicruiser SUV Into Water. Wait, what?